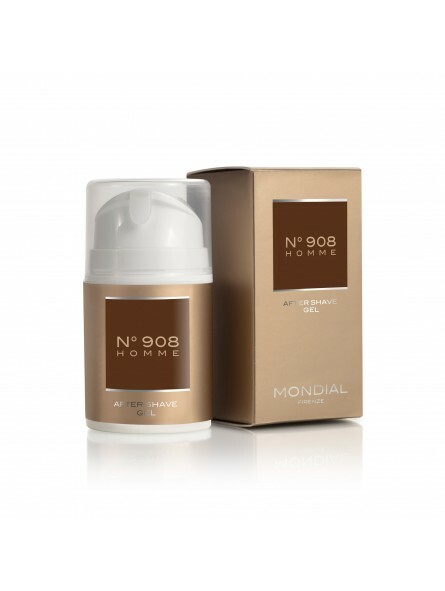 Mondial N°908 Homme Aftershave Gel 50ml. Highly moisturizing and soothing After Shave Gel. 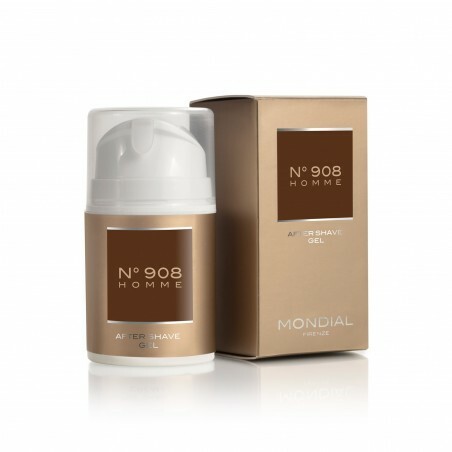 Its formula with substances of vegetable origin gives the skin hydration and anti-inflammatory effect. It guarantees an absolute feeling of well-being after daily shaving.